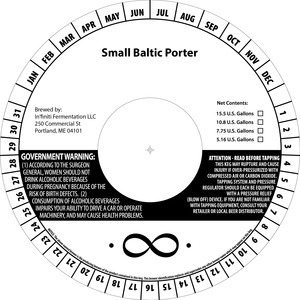 In'finiti Fermentation Small Baltic Porter is brewed by In'finiti Fermentation LLC in Portland, Maine. This brew is served on tap. We first spotted this label on May 14, 2013.